Whether you’re a heel striker or a forefoot runner, your tibia (the bone in your lower leg) should be relatively vertical when your foot hits the ground. Over striding can lead to excessive forces on your muscles and/or decrease your body’s ability to dissipate force, which can lead to a whole host of problems, such as stress fractures, metatarsalgia, etc. 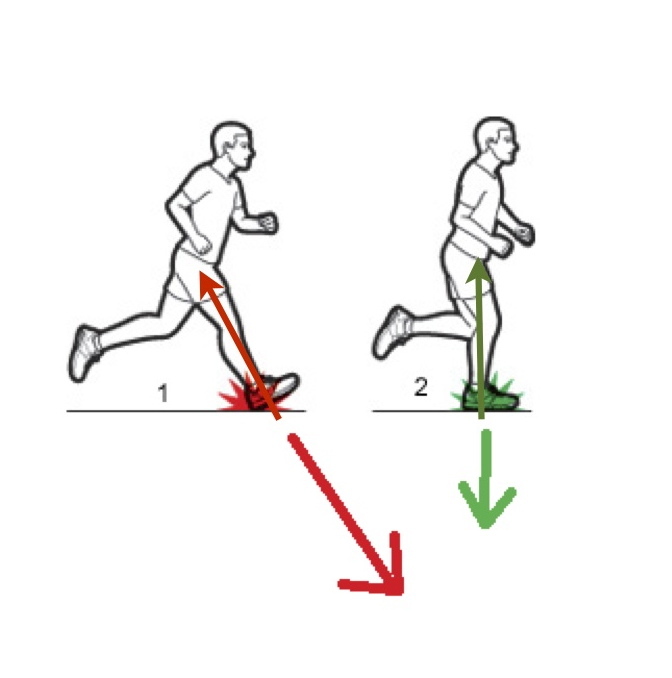 The picture below shows the difference between over striding (on the left) as compared to a normal stride (on the right). This one is hard to gauge yourself. You really need a second set of experienced eyes, and anytime you’re having consistent pain, a trip to your PT isn’t a bad idea. As always, feel free to contact one of our physical therapists for a free consultation!